Moscow, May 10, Interfax - Great consecration of St. Nicholas Church took place in Christchurch, New Zealand. Bishop George of Canberra (the Russian Orthodox Church Outside of Russia) chaired the service. 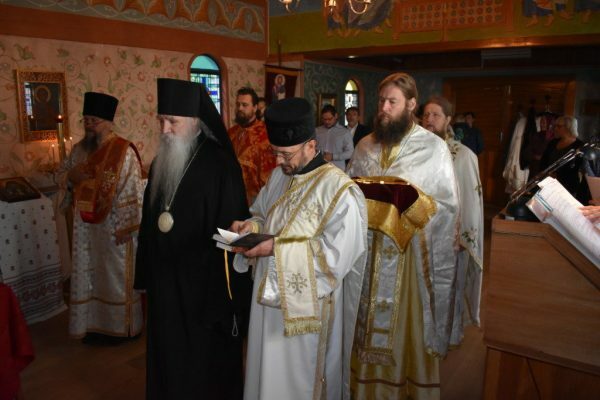 Several dozens believers came to the consecration, press service of the ROCOR Australian and New Zealand Diocese reported. The Russian Orthodox community in New Zealand started forming a half century ago and today has five parishes. Meanwhile, in Australian Sydney believers are striving to build a memorial to Russian soldiers (participants in of the Great War of 1914, the Civil War 1918-1922 and the Great Patriotic War) buried at the local Rookwood cemetery and other Australian cemeteries, the message reads. Today the Russian chapel works at the cemetery, it is the biggest cemetery in the country with over than 20,000 tombs of Russian people.